Can you describe what TriStar Plastics does? 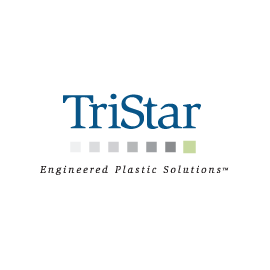 TriStar Plastics specializes in engineered plastics solutions and helps engineers design custom components, select the right materials, and build prototypes (and it has qualified engineers to do these things in case the client company doesn't have an engineer in-house). We needed a better tool to host our online plastics material database, which catalogs over 420 materials. Our existing tool was an ecommerce website CMS that was modified to host/display our database. The overhead of all the features we weren't using combined with an inability to customize the program ourselves meant that enhancements were cost and time prohibitive. With Knack we were able to quickly recreate what we had and then go beyond, integrating several key enhancements and creating a whole new (separate) front-end tailored for use by our inside sales people. With the data hosted in the cloud, we no longer have the overhead of maintaining that and worrying about backups, etc. The tools to build the database itself are very intuitive and it was easy to bring our existing data in via the import function. The interface builder allowed us not only to optimize the experience for our end users, but also create a straightforward console for our in-house technical people to keep the database current and add new products and data at any time. Logins allow us to control user access for our three audiences (end users, inside sales, and technical administrators) by assigning users to the appropriate user level. Knack provided extensive support and encouragement to guide us through the process, which greatly simplified the learning curve and allowed us to get up to speed quickly. We asked them to customize the product to build custom filters, tabbed detail views, and an SEO solution to make sure our DB-generated pages get picked up and indexed by Google and the other search engines.